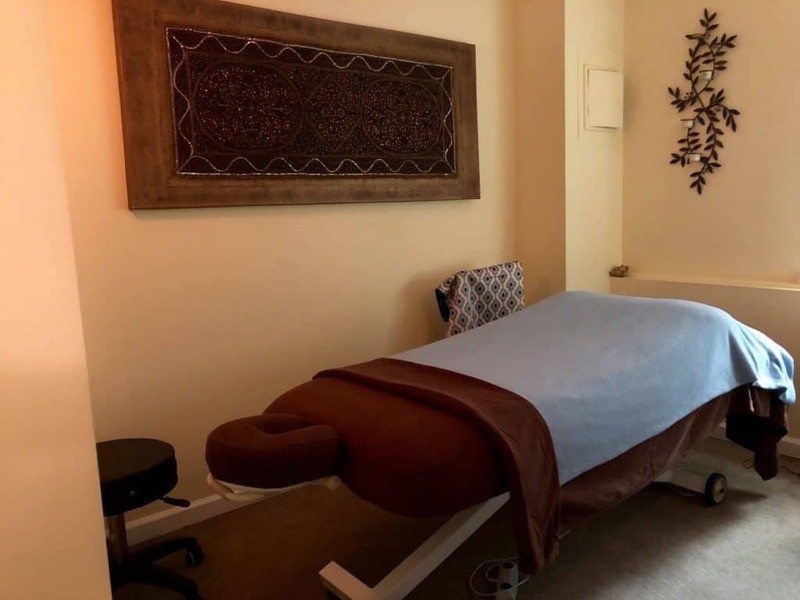 Ohm Spa’s director and owner, a licensed physical therapist, ensures the entire staff delivers results-oriented treatment in every massage service we offer. We specialize in Swedish, Sports, Deep Tissue, Hot Stone and Pre/Post-natal massage. We are also known for our couple’s massages, performed in one of our custom designed dual-massage rooms. The pricing for our couple’s massages are simply the total cost of each individual’s massage. We take a custom tailored approach to massage therapy that addresses your own condition and needs. Each treatment begins with a review of your questionnaire and a general assessment to determine areas of restriction and tightness. Please mention any special conditions so your therapist can maximize the effectiveness of the session. *Please mention upon booking if you are allergic to any nuts, scents or other ingredients. A blend of essential oils and balms may be used to target your individual needs during your massage. Any massage 60-minutes or longer is available as a Couple’s massage. This European technique uses long, fluid strokes to calm the body, settle the mind and restore lost energy. It is gentle, soothing and emphasizes relaxation. Designed to melt away stress and ease muscle fatigue. *Yoga Balm and aromatherapy may be used during treatment. If you enjoy the soothing, longer strokes and rhythmical kneading of a Swedish technique but prefer firmer pressure, then this is the right massage for you! You can still unwind with a relaxing massage but benefit tremendously with a deeper focus to release muscle tension. A more vigorous technique that focuses on overused muscles from repetitive stress. This treatment is aimed to reduce muscle tension in superficial and deep muscle fibers. Designed to enhance athletic performance and reduce recovery time by flushing toxins and waste product from the body. This is especially recommended for pre- and post- workouts to alleviate the tension that accumulates during physical activity. Stretching may be incorporated. Our deep tissue specialists utilize prolonged intensive holds, including myofascial release and trigger point release to stimulate blood flow to restricted areas and relieve knotted muscles that are unable to fully release on their own. Geared towards opening the superficial and deep connective tissue that encompasses all of your muscle fibers and cells. Recipients can actively participate through deep breathing guided by your therapist as well as identifying areas of discomfort. Please note, some soreness might result after treatment. With emphasis on your specific needs, utilizing a combination of 2 or more massage techniques, your therapist will create an individually tailored treatment specifically for you. Modalities may include Swedish, shiatsu, trigger point release, myofascial release and passive stretching. This is our most popular and requested massage. Cannabidiol (CBD) is a cannabis compound that is non-psychoactive and has been used for it’s natural anti-inflammatory, anti-seizure, pain-relieving and nerve-calming effects. Clinical studies have explored CBD’s potential as a remedy for a wide range of conditions, including arthritis, chronic pain, diabetes, depression, alcoholism, MS, schizophrenia, PTSD, epilepsy, and other neurological disorders. 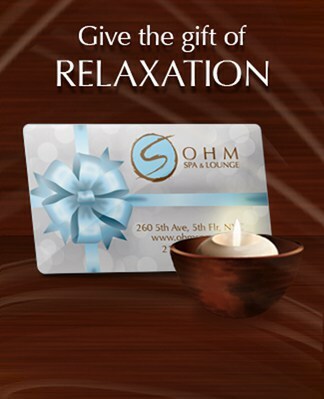 Ohm Spa’s CBD infused massage incorporates pure CBD oil derived from hemp plants. The infused massage cream is rubbed into the skin throughout the session to provide a unique sense of calm and relaxation. A relaxing treatment tailored specifically to alleviate the physical discomfort and fatigue related to the changing bodies of pregnant women. Trained therapists adjust their techniques to help improve circulation, diminish back and hip pain, relieve headaches, reduce leg cramps and swollen ankles and promote overall relaxation. The expectant mom will be fully supported with pillows to allow for face-up and side-lying positions. By the end of the session, mom-to-be will feel soothed and rejuvenated. Only available after first trimester of pregnancy. This traditional, Eastern healing method relies on pressure and stretching to relieve blocked energy. The palms, fingers, thumbs, knuckles, elbow, knees and feet are used to work along the body’s meridians or energy channels to help balance energy flow and strengthen the vital organs. Please wear loose, comfortable clothing during your session. *Please note that this is not a full body treatment.